Now, even more comprehensive quality enters the picture. With the world’s first1 back-illuminated 35mm full-frame CMOS image sensor with 42.4 megapixels2, the Sony α7R II takes image resolution, sensitivity (up to ISO 1024003) and speedy response to new heights. The Fast Hybrid AF system's dense extra-wide focal plane phase-detection AF coverage keeps a subject in sharp focus entirely throughout the frame, while 5-axis image stabilization reduces blur which otherwise tends to affect handheld shots. High resolution is further enhanced by 4K movie recording featuring full pixel readout without pixel binning. With so much insight packed into such a compact form, it's clear that there is more to life than meets the naked eye. As the world’s first1 35mm full-frame image sensor with back-illuminated structure, this 42.4-megapixel CMOS sensor enhances light collection efficiency, expands circuitry scale, and, with the help of a quick-transmission copper wiring layer, outputs data about 3.5 times faster, while minimizing image noise to reveal fine details in every picture. The BIONZ X image processing engine efficiently and finely tunes the new image sensor's vast 42.4-megapixel data, for truer, clearer, more natural, low-noise image depiction. Great performance achieves its full potential accompanied by an array of innovative features. With an outstanding 42.4-megapixel count, the new image sensor in the α7R II lets you explore the world in remarkable detail and the camera employs no optical low-pass filter that can compromise high resolution. To reduce image blur, the camera's newly developed reduced-vibration shutter minimizes and Silent Shooting mode eliminates camera shake caused by shutter movement. And a growing family of FE lenses lets you witness more of the incomparable clarity that the sensor delivers from every perspective. Thanks to an advanced image sensor and AF algorithm, the α7R II's Fast Hybrid AF system delivers far superior AF coverage, speed and tracking performance. To optimize the benefit of the α7R II's amazing high-resolution capability, especially when shooting unpredictable action or while you're in motion, the act of shooting should be as steady as possible — otherwise, even slight camera shake can risk blurring the shot. The 5-axis image stabilization system is carefully fine-tuned to match the 42.4-megapixel performance of the α7R II, so you can zoom in on faraway subjects, shoot close-ups and capture night scenes with minimal camera shake blur to achieve maximum clarity. You can see how the α7R II is optimized for recording 4K (QFHD: 3840 x 2160) movies, particularly in Super 35mm format, as it processes readout data from every pixel without pixel binning, to effectively suppress jaggies and moire. The resulting footage exhibits visibly sharper, finer, more subtle detail than typical 4K movies. 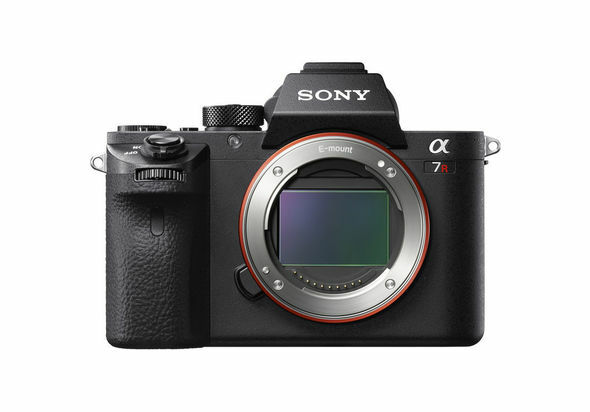 Also, as the first1 full-frame camera that can record movies at 4K resolution in the 35mm full-frame format, the α7R II extends your power to express qualities of vision that the newly developed, back-illuminated full-frame image sensor makes possible. The α7R II is the toughest, most durable α camera ever made, solidly engineered for action under all conditions, even with large lenses attached. 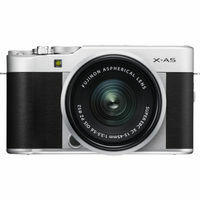 It's also designed with sophistication, integrating advanced functions that seamlessly complement the image sensor's extraordinary 42.4-megapixel high resolution. With an incomparable new image sensor Now, even more comprehensive quality enters the picture. With the world’s first1 back-illuminated 35mm full-frame CMOS image sensor with 42.4 megapixels2, the Sony α7R II takes image resolution, sensitivity (up to ISO 1024003) and speedy response to new heights. The Fast Hybrid AF system's dense extra-wide focal plane phase-detection AF coverage keeps a subject in sharp focus entirely throughout the frame, while 5-axis image stabilization reduces blur which otherwise tends to affect handheld shots. High resolution is further enhanced by 4K movie recording featuring full pixel readout without pixel binning. With so much insight packed into such a compact form, it's clear that there is more to life than meets the naked eye. Higher resolution, sensitivity, and readout speed As the world’s first1 35mm full-frame image sensor with back-illuminated structure, this 42.4-megapixel CMOS sensor enhances light collection efficiency, expands circuitry scale, and, with the help of a quick-transmission copper wiring layer, outputs data about 3.5 times faster, while minimizing image noise to reveal fine details in every picture. 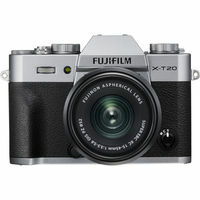 Faster, smarter, truer processing The BIONZ X image processing engine efficiently and finely tunes the new image sensor's vast 42.4-megapixel data, for truer, clearer, more natural, low-noise image depiction. New 14-bit uncompressed RAW format Now more format options to choose from, for unbeatable quality and range of tonal nuance. Advanced features raise resolution even higher Great performance achieves its full potential accompanied by an array of innovative features. With an outstanding 42.4-megapixel count, the new image sensor in the α7R II lets you explore the world in remarkable detail and the camera employs no optical low-pass filter that can compromise high resolution. To reduce image blur, the camera's newly developed reduced-vibration shutter minimizes and Silent Shooting mode eliminates camera shake caused by shutter movement. And a growing family of FE lenses lets you witness more of the incomparable clarity that the sensor delivers from every perspective. Fast Hybrid AF sharpens up Thanks to an advanced image sensor and AF algorithm, the α7R II's Fast Hybrid AF system delivers far superior AF coverage, speed and tracking performance. Fine-tuned for high-resolution image sensors To optimize the benefit of the α7R II's amazing high-resolution capability, especially when shooting unpredictable action or while you're in motion, the act of shooting should be as steady as possible — otherwise, even slight camera shake can risk blurring the shot. The 5-axis image stabilization system is carefully fine-tuned to match the 42.4-megapixel performance of the α7R II, so you can zoom in on faraway subjects, shoot close-ups and capture night scenes with minimal camera shake blur to achieve maximum clarity. 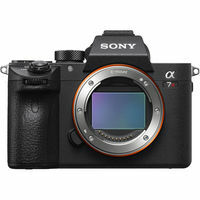 The ultimate high-resolution movie experience You can see how the α7R II is optimized for recording 4K (QFHD: 3840 x 2160) movies, particularly in Super 35mm format, as it processes readout data from every pixel without pixel binning, to effectively suppress jaggies and moire. The resulting footage exhibits visibly sharper, finer, more subtle detail than typical 4K movies. Also, as the first1 full-frame camera that can record movies at 4K resolution in the 35mm full-frame format, the α7R II extends your power to express qualities of vision that the newly developed, back-illuminated full-frame image sensor makes possible. Focus on strength, smarts and reliability The α7R II is the toughest, most durable α camera ever made, solidly engineered for action under all conditions, even with large lenses attached. It's also designed with sophistication, integrating advanced functions that seamlessly complement the image sensor's extraordinary 42.4-megapixel high resolution.